When it comes to bathroom decor it can be difficult to find that one stand out piece that makes your bathroom interesting and unique. 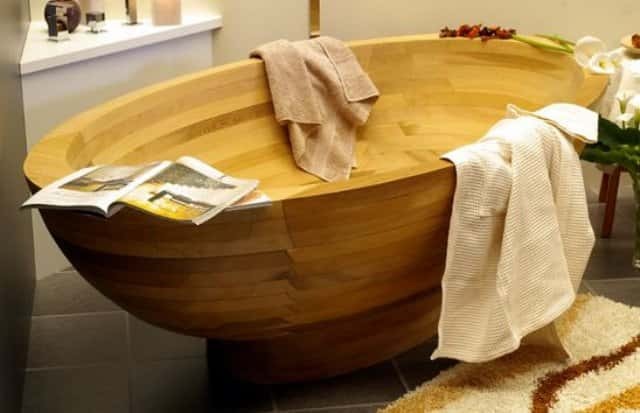 These awesome wooden bathtubs are definitely interesting stuff. 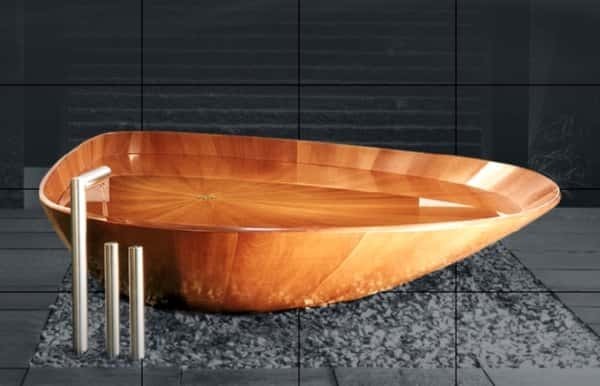 Wooden bathtubs are unique like other pieces of wooden furniture because the grain ensures that they are. The natural color adds a warmth and an almost rustic appeal to your bathroom decor. Wood is a very versatile material to work with in homes as there are many different types, so you can easily find something that looks amazing in your existing bathroom. There are many styles and designs of wooden bathtubs including old style and modern designs. 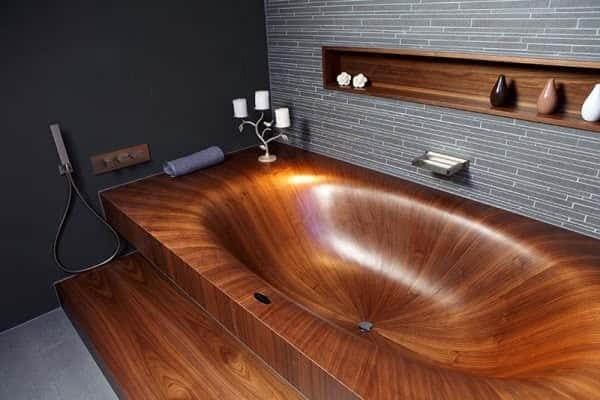 So no matter what your preferred style is, if you are looking for a stunning bathtub a wooden one may be right for you. 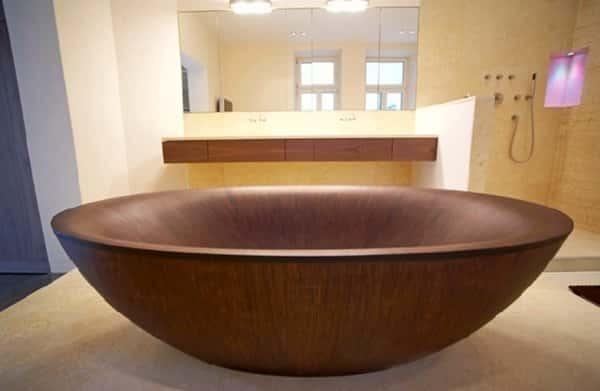 A wooden bathtub is truly a unique masterpiece and a luxury addition to your home. There are so many types of wood and bathtub styles to choose from, you can be sure that your tub will be one of a kind. As you can see by looking at these images, these are not just regular bathtubs. These awesome tubs are works of art. Wooden tubs are available to buy ready made and there are also companies that produce custom, hand made tubs.